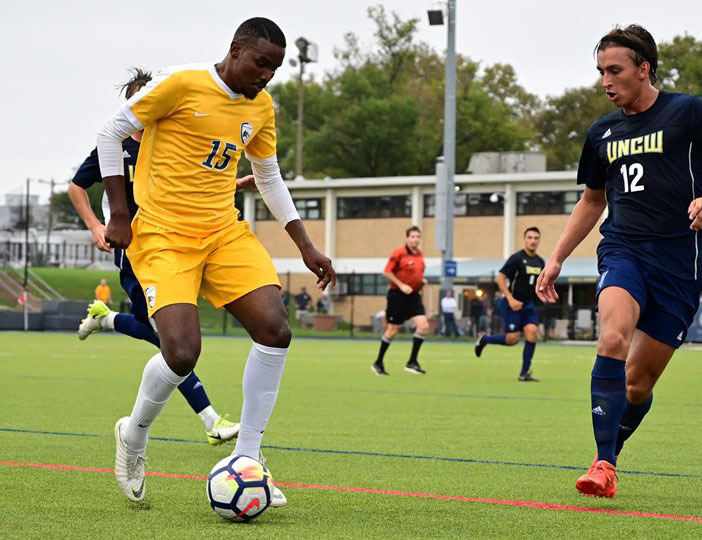 The Drexel University men’s soccer team hosted University of North Carolina Wilmington Oct. 6 in a Colonial Athletic Association conference game. Coming into the game, Drexel had a record of (7-2-2,1-2-1 CAA) and UNCW had a record of (7-2-1, 2-0-1 CAA). For the second game in a row, the Dragons capitalized early on an own goal in the fourth minute of the first half. UNCW junior Jamil Gracia headed a ball into his own net. Drexel held the lead until the 83rd minute of the game, when UNCW sophomore Emil Elveroth scored off a cross by senior Joel Bylander. UNCW wasn’t finished because just a minute later senior Ben Fisher scored what ended up being the game winner. Despite the tough loss, redshirt freshman Stephen Kopsachilis continued his dominance in the net for the Dragons as he made 10 stops including one that he stopped but landed at the feet of Ben Fisher who then scored. In the end, UNCW was the more aggressive team as they outshot Drexel 22-10. In the final CAA home game of the year, the Dragons hosted the University of Delaware. Drexel took the lead quickly, as it took freshman Chris Donovan just 45 seconds to score with an assist from junior Kwesi Allen who tapped the pass of a goal kick from Kopsachilis. Delaware tied the game in the 37th minute after junior Fede Prieto scored off a rebound from his own penalty kick. The penalty kick was called because of a Drexel handball in the box. Delaware dominated time of possession in the first half, outshooting Drexel 10-1. Delaware continued to outshoot Drexel as they took seven total shots in the second half compared to the Dragons, who took just one. It took until overtime in the 96th minute for the game to end, as Delaware freshman Jake Steinberg scored his first career goal and game winner. Drexel’s next game will be on the road against CAA opponent Northeastern University Oct. 13 at 5 p.m. Northeastern currently leads Drexel by three points.